As a 3rd generation of family farmers, we embrace the notion that premium fruits start on the farm! 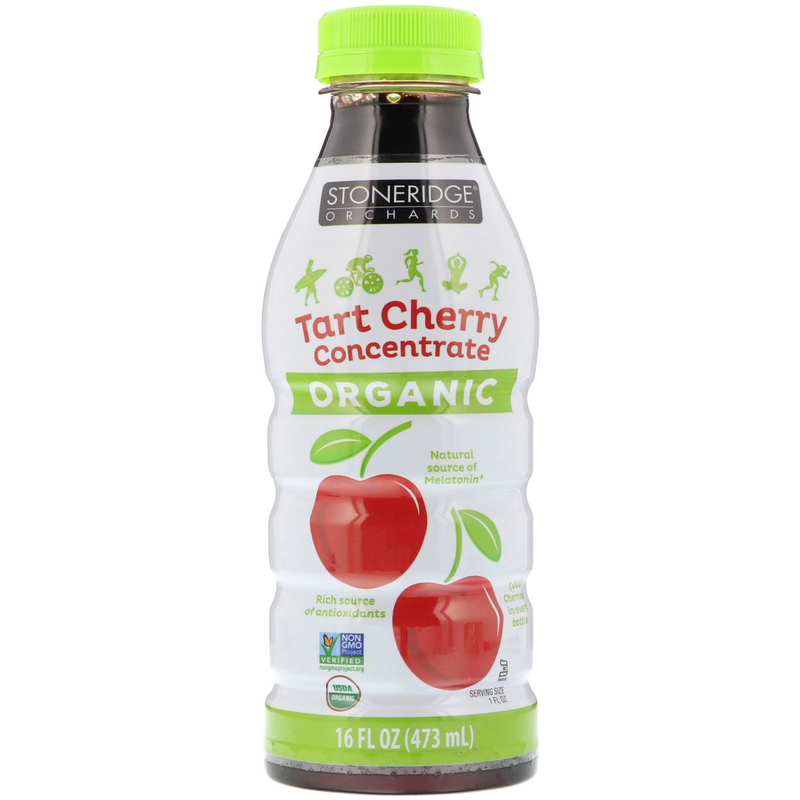 Stoneridge Orchards Tart Cherry Juice Concentrate is a natural source of anthocyanins and antioxidants that may reduce muscle soreness and inflammation. Studies have shown that melatonin may promote a better night's sleep. Two tablespoons (1 oz.) per day. Mix 1 oz. concentrate to 4 oz. 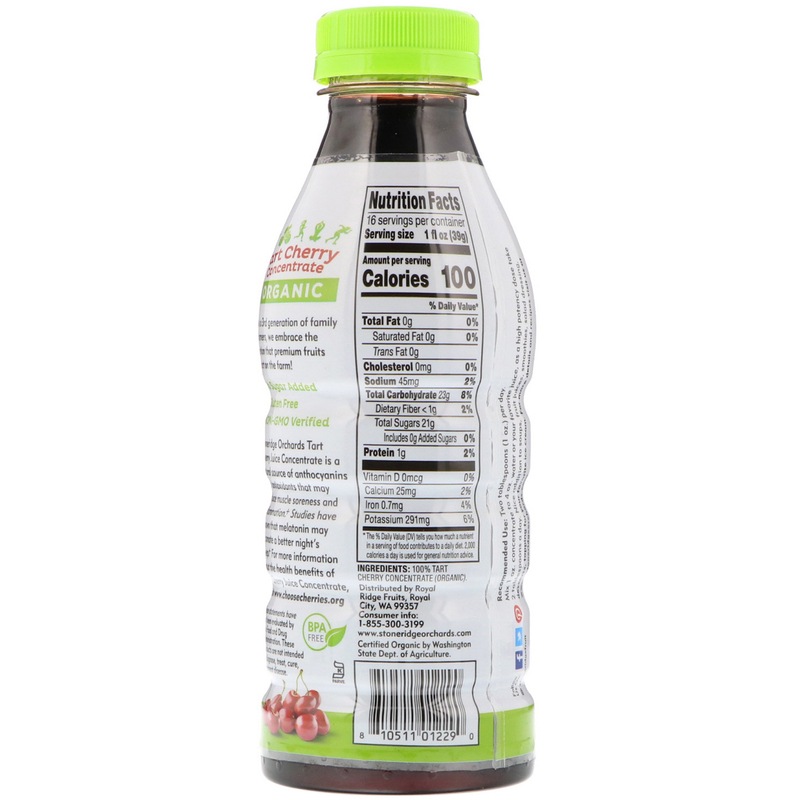 water or your favorite juice, as a high potency dose take 2 tablespoons a day. Nice addition to soups, fruit juices, smoothies, salad dressing, desserts, topping for your favorite ice cream. 100% tart cherry concentrate (organic). Settling is natural, shake before enjoying. Keep refrigerated after opening to extend freshness.